The Portsmouth to Arundel canal ran from Portsmouth to Arundel. The Portsmouth section of this ran from near what is now Debenhams in Commercial Road, down Arundel Street into what is now the railway line, along Goldsmith Avenue, down the middle of the two footpaths next to what used to be Portsmouth University Milton Site and out into Locksway Road to the sea. The two footpaths were the original tow paths used by the canal. The whole project cost £125,000 to build with the canal being opened in stages and the first stage opened on the 26th May 1823. In 1824 only 3,000 tons of freight used the canal which was less than one twelfth of its projected usage. By 1830 the charges were lowered and so there was a slight pick up in usage. There were many un-missible vessels which used the canal these included a 58 ton barge of soldiers baggage, 1 ton barge of anchors and a 40 ton barge full of gold and silver bound for the Bank Of England in London. Shortly after 1830 due to the lack of usage the canal was closed. 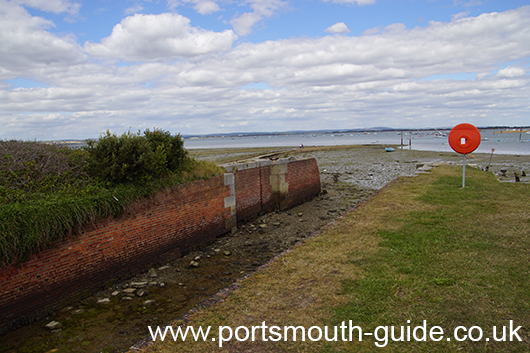 Much of the line was used in 1880 for the railway which was arriving in Portsmouth. The stretch between Fratton and Portsmouth and Southsea was used for the Railway line. The Southsea Railway which ran from Fratton to East Southsea used a small section of the canal route.